Imagine walking up to a bouncer at a bar. Instead of digging through your bag to find and present your physical ID, you simply use your mobile device to scan a QR code on his kiosk to prove you’re over 21. The bouncer doesn’t need to worry about correctly sussing out fake IDs, and he can focus on maintaining the bar’s safety and security, by keeping an eye out for aggressive or disorderly behavior. Bars are just one example of how we protect different environments, products, or services, and underage drinking is an example of a problem where identity verification can mitigate liability concerns. Using fake IDs to access alcohol is a relatively common occurrence for college students. The legal drinking age was put in place to protect minors, who are simply more susceptible to health concerns that arise from drinking at a younger age. Yet, in a study of 1000 college students, the research found almost two-thirds of participants had used a fake ID to buy alcohol at least once during college. Additionally, the more frequently the students used fake IDs, the more they drank according to a clinical research journal. 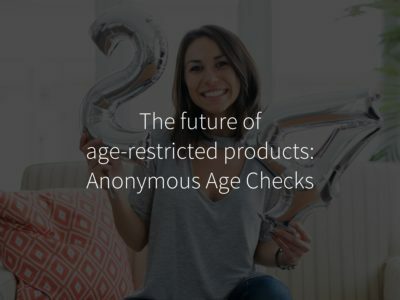 New technology, like blockchain-powered identity verification, represents an opportunity to better protect minors and young people from not only underage drinking but to provide protection for all age-gated industries. In addition, this new technology can provide more confidence and simplify the age verification process from a business perspective. Digital identity will become a part of our future, and age-gated industries, specifically bars and nightclubs, are one place where these digital IDs could provide additional safeguards, helping protect companies facing higher liability standards and helping protect minors for their own health, safety, and well-being. One of the problems with identity now, far beyond fake IDs, is that you don’t have to prove ownership of information. If you have an ID with a picture that resembles you, most of the times, you are assumed to be that person. When you add biometrics into the equation, it changes the level of required proof. For example, if my biometrics are tied to my real identity, my younger brother or someone who looks like me wouldn’t be able to use that identity. Additionally, if you have biometrics that are tied to your real identity, these biometrics should not be able to be tied to a fake identity. If bars started implementing age verification technology that required these types of biometric security safeguards, like the Civic App, procuring and using a fake ID would become a lot more complicated. This also makes it difficult to steal an identity. With biometric authentication, like facial recognition or fingerprints, if someone managed to get ahold of your phone, they still wouldn’t be able to use your information because they do not have your biometric data. There are other companies out there using biometrics, like facial recognition, to solve age verification challenges and spot fake IDs. The benefits of Civic is that this information is never stored anywhere, except your mobile device. Identity is important, and we recognize that identity information should remain private, not in centralized databases where it becomes vulnerable to being stolen. 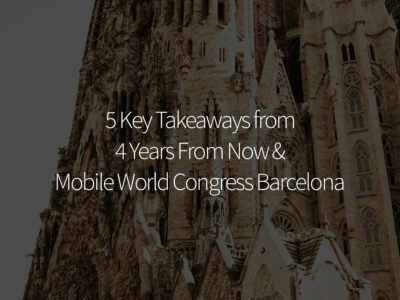 There are ways to increase security, improve customer experience, and optimize efficiency without storing biometric information. Additionally, Civic helps take the guesswork out of identity verification. Right now, bouncers are trained to spot fake IDs, but it’s a very subjective process. Physically spotting fake IDs is less of a science and more of a case-by-case basis. Civic identity verification solutions leverage the Identity.com ecosystem, where identity.com validators are trained to do just that, validate identity. It a comprehensive and objective process, providing more certainty around the age verification process. Automatic identity verification also opens the door for bars and nightclubs to do things differently. Beer and/or champagne vending machines can make long drinks lines a thing of the past. Vending machines with integrated age verification open up opportunities for bartenders to focus on mixing drinks, not just pulling a cold can out of a refrigerator. 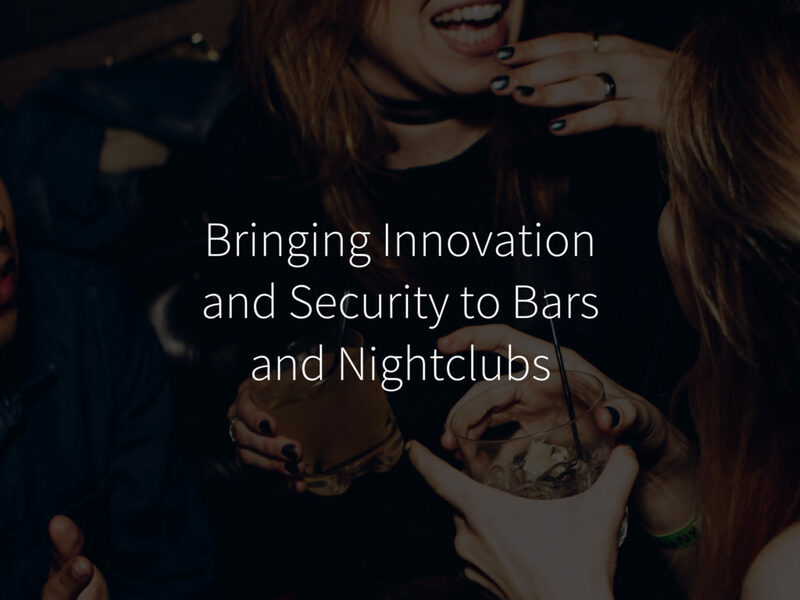 This is a new world for bar and nightclub world, and we’re looking forward to introducing solutions that change the status quo possible while protecting minors. 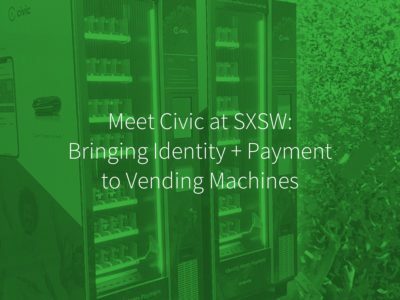 Civic is creating higher standards for ID checks that gives companies assurance and confidence about their age verification solutions while introducing a better user experience that is more convenient and more secure for patrons.